IGreen Marketing Inc. - IGreen Marketing offers high quality, affordable website design for local business owners. iGreen also specializes in SEO and PPC management for businesses. 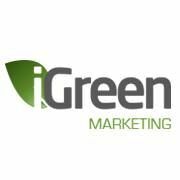 iGreen Marketing is a full-spectrum agency providing graphic and web design; print, email and internet marketing; search engine optimization; keyword and pay per click campaign management and branding programs. We are located in Pompano Beach, FL shortly off the Florida Turnpike on Sample Road. The available internship position we are looking to fill is for a graphic & web designer. The intern will be tasked to work alongside our designers in building graphic design assets and developing websites for clients. It is an opportunity to learn and gain experience working for a full service marketing company. Node Internet Marketing We are an internet marketing firm located in Orlando, Florida that specializes in SEO, and Web Design. Welcome to Advertising & Marketing Vero Beach FL. Your source for direct mail, mobile marketing, and online advertising for Vero Beach, Fort Pierce, and Port St. Lucie.